My goodness, Death Valley is well named. I don’t think I’ve been in an environment that hot since a summer trip to the UAE. I spent about five minutes in this place and was very pleased to have done so, but I am not rushing to go back to Death Valley. This entry was posted in Landscape, USA and tagged 2015, Death Valley, Furnace Creek, sky, Sun, USA, Zabriskie Point by keithjohnmason. Bookmark the permalink. We drove through part of Death Valley in March, and it was already a bit–warm. It was one of the most surreal places I’ve been to. 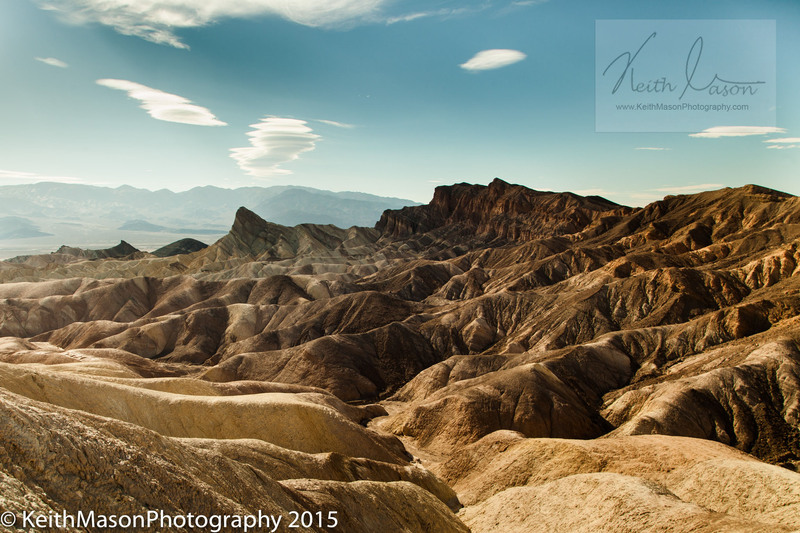 We missed Zabriskie Point, somehow–wow, what a Martian view!